We’re having the chats with some familiar faces around town. 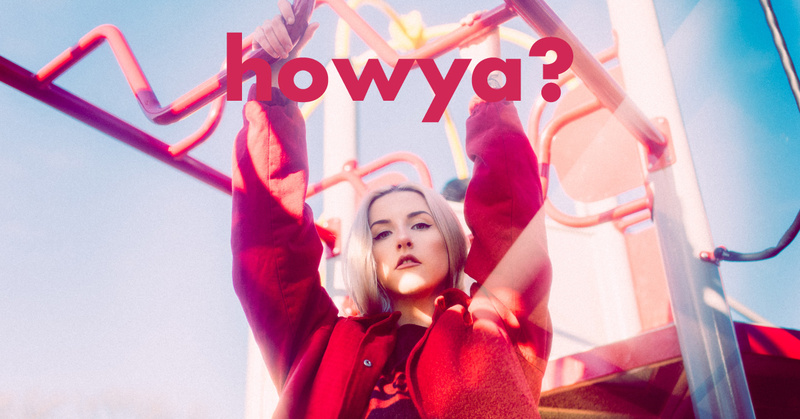 This time up it’s LAOISE, Galway’s queen of electro-pop! What’s your sound like, for anyone who hasn’t heard it? It’s changed a bit since I started releasing music, obviously we use a lot of synths, but I guess now that I’ve released by new EP it’s quite upbeat and freeing for me. I’m heavily inspired by Kate Bush and Stevie Nicks and then the honesty of Taylor Swift, so it’s kind of a mix of all that. Go-to breakfast and brunch spot in Galway? Dela. I love Dela. Their veggie fry is the best. It’s a beautiful place to be and everyone’s really nice. I just love it! Favourite spot for a drink in town? I love going down to An Pucán because it’s a bit of fun and I love their outdoor area. The colours in it are so bright and warm. It seems like it’s just a sunny place in there all the time. Favourite spot to get away from it all? The Secret Garden. I like to come here because I remember my friends talking about it years ago, so I came in on my own. It was probably the first time – when I was really big into reading and poetry and songwriting and when I discovered loads of people like Sylvia Plath – that I came out on my own and had a coffee on my own and I remember that so well, out of a sort of independence. So, I’ve always liked to come back and re-experience that. Favourite time of year in Galway? Not Winter. I used to have to have a spare uniform in my locker because I would get so wet sometimes. I like the Summer. I love when you see loads of people visiting the city. Because I live quite close to town, I had kind of forgotten how beautiful the city was and how much we’ve kept. There’s so much that hasn’t been demolished and has been really savoured and I think it’s interesting when you see loads of tourists coming and they’re looking up and you think “what are they looking at?” and then you look up and you think “yeah, wow, this is wow! Obviously!”. I have to say Public Romance. I can always find an item of clothing in there that I can’t help but bring with me and Sinéad – the owner – is incredible! I love supporting cool vintage stores. There are two and they’re very much on two ends of the scale. One was being nominated for a RTÉ Choice Music Prize, that was insane! Especially because I’m an independent act and it’s all self-funded and I do pretty much everything on my own and with Seán Behan, who is the other half of the project. I think that [‘Again’] was the most honest and raw song I’ve released so far. For people to compare it to the list of nominees, that was really exciting. And then on the complete other end is playing festivals. I loved playing Electric Picnic last year because there were so many people singing the words and so many people that were there properly early to see us go on. When people literally say words back to you that you wrote when you were in such a crappy headspace, it’s insane because you feel like they’re giving you a pat on the back. *The Irish music scene has changed so much, from trad to more experimental sounds. Do you think being in Galway influences that or did moving to Dublin make you more creative? For me personally, being able to move away from a city that I grew up in and knew inside out and being completely out of my comfort zone in a new environment, around new people, sprung a different type of creativity for me. I guess I did all the groundwork when I lived in Galway and then when I moved to Dublin, I got to break the rules. The music scene is gorgeous in both sides, in trad or commercial music. Even at the Choice Awards, it was like walking into a group of friends. It’s a really really nice, impenetrable community to be working in. 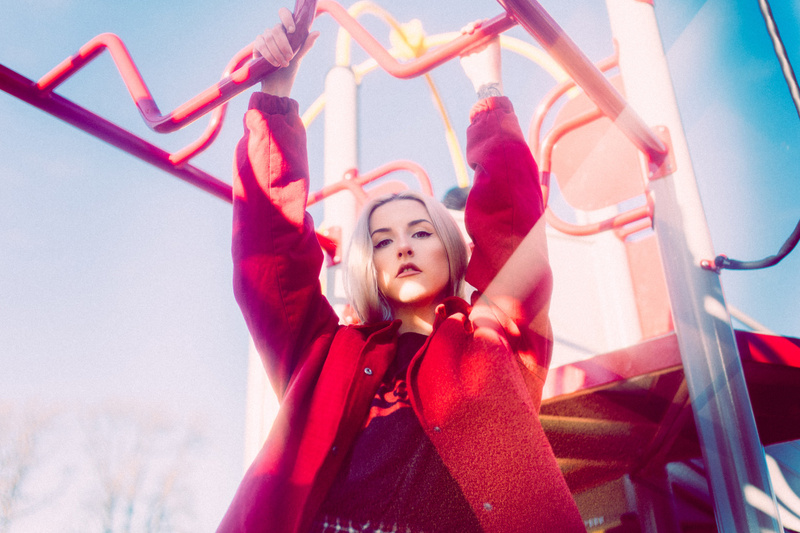 Finally, let’s talk about your new EP, ‘MAD’. It’s four songs, ‘Again’ is on it and I guess the way I’ve been explaining the EP as a whole is that they’re just confessions – urgent ones. They’re nearly like word vomit. They’re the things you want to say very quickly and straight up to someone’s face. There’s a lot in it that a lot of people can relate to because in one way I’ve been bottling up certain emotions or certain things, or being scared to say certain things in a song because of what other people think and I’ve come to a stage in my life where I just don’t really care, it makes no difference. I’ve surrounded myself with people who encourage me and make me feel good and I hope I do that for them too. So yeah. It’s nice to just spit out loads of words on a page and for them to become songs.